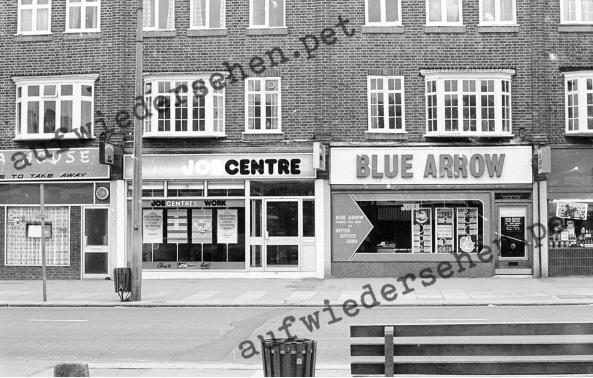 We have managed to track down this image of the Job Centre as featured in the opening credits of Series 1. We famously see Neville Hope played by Kevin Whately looking through the window, obviously desperate for a job, hence his reason to leave Brenda and the UK, and head to Germany for better prospects and better money. Year unknown. Copyright Notice: The image is copyright of Eve Glover, and may not be used without express permission.